If you're not familiar with S.F.’s so-called "microhoods," here's a quick history lesson: Local site The Bold Italic has been keeping its nose to the pavement and has taken to branding certain buzzy strips as their own mini neighborhoods. Of course, what's a 'hood without a catchy name, right? So far, these pocket neighborhoods have included FolSoMa, Mint Slope, Valencia Bottoms, 3rd Base, ClemenTime. 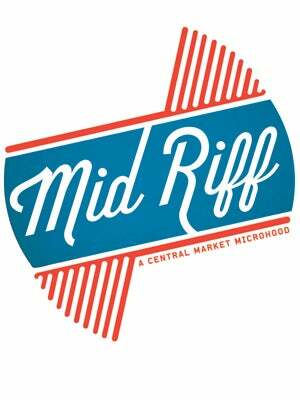 And now meet the Mid Riff! So, where exactly is this slice of awesomeness in the city? TBI says it's Market Street between 6th and 7th and they're out to show you exactly how cool it is on Thursday, February 9th. That's when the site is hosting a little celebration of the emerging block with festivities going down inside the homes of many of the Mid Riff's retail and restaurant residents. Expect discounted yummy bites and libations at Show Dogs, art openings and live performances courtesy of The Luggage Store, and much more. Peep the full lineup, and be sure to give the Mid Riff a big welcome hug. When: Thursday, February 9, 6 p.m. to 8 p.m.